Vous souhaitez fêter un événement particulier? Nous sommes à votre disposition pour organiser vos fêtes d’anniversaire, anniversaires de mariage, ou des autres événements de façon absolument extraordinaire. Si vous voulez vivre des vacances riches en émotions fortes sous le signe de l’aventure, nous pouvons vous organiser une journée divertissante en quad ou dromadaire dans le désert ou dans la palmeraie. 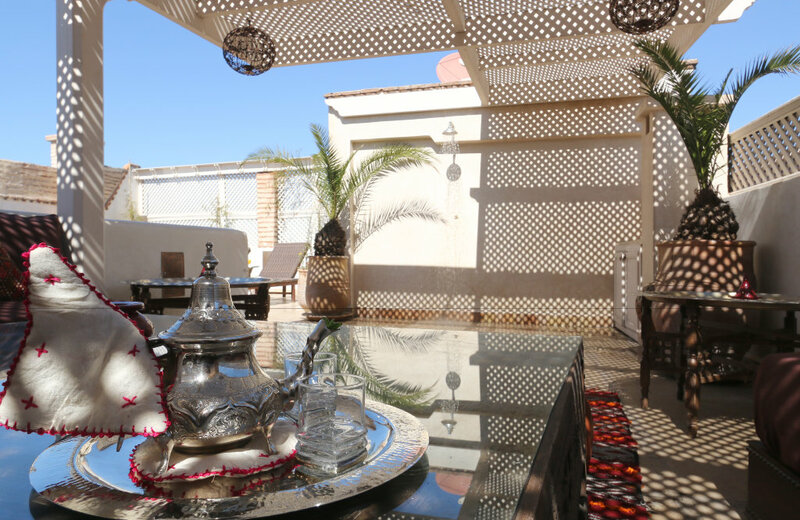 Nous disposons de cinq chambres toutes décorées dans le plus parfait style marocain, quatre d’entre elles donnent sur le splendide patio intérieur et une sur la charmante terrasse, qui offre une pergola et un solarium, a bassin et un hammam. Dans la terrasse de riad Jaune Safran vous pourrez profiter de bains de soleil ou vous relaxer à l’ombre de la pergola, et le soir, elle devient un lieu tranquille où discuter, tout en sirotant une boisson et en admirant le coucher du soleil. Pour connaître réellement un pays, il est nécessaire de s’asseoir à une table et de s’abandonner aux saveurs et aux parfums, enfants de cette terre. Et le Maroc et notre chef sauront vous surprendre! Riad Jaune Safran offre à ses hôtes la possibilité d’accéder à son hammam privé. Profitez alors d’un bain de vapeur ou d’une massage relaxant au retour de votre promenade en ville. 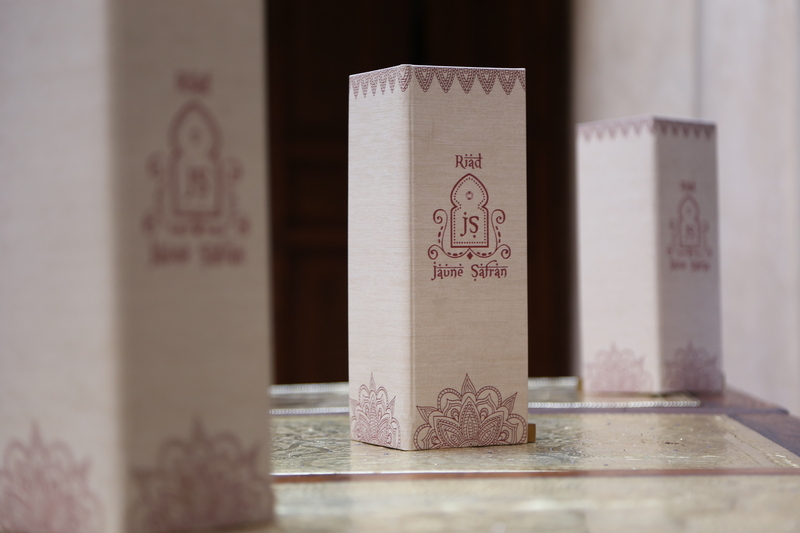 Dans le confort du salon, bercés par une musique douce et par les encens parfumés, vous pourrez faire votre shopping à la boutique de Jaune Safran: foutas, bijoux, bougies parfumées, et encore. We had a wonderful time staying here, the staff was accommodating and very helpful during our entire trip! They gave suggestions for things to do, and even arranged transportation when necessary. 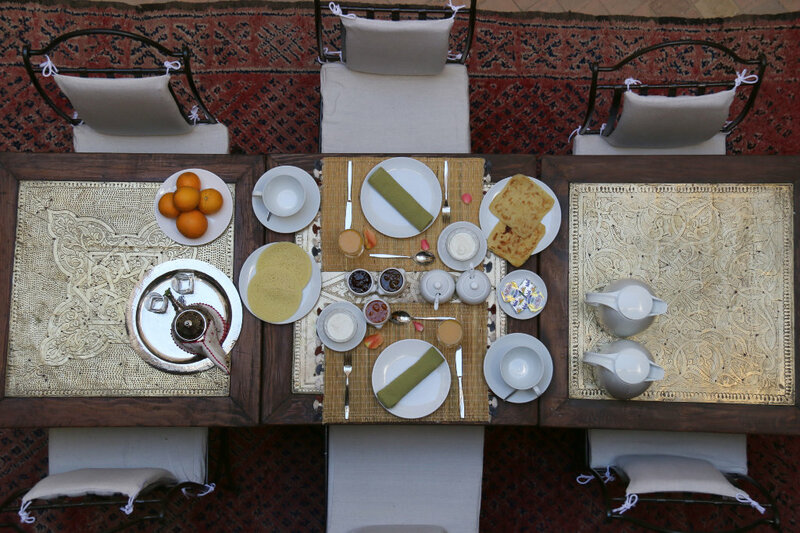 The riad was beautiful and comfortable, and the food was delicious. You will always wake up to a great breakfast, but I also recommend having at least one traditional dinner prepared for you at home. Part of our trip was during a holiday and a lot of places were closed, so we definitely want to come back and we will definitely be staying here again. Veronica was amazing from the start. She was super responsive and helpful with every question I had since it was our first time in Morocco. She was very accommodating with all of our requests. Her home is beautiful and the staff were wonderful. Oussama was a fantastic host to us. He was very happy to help us and even stayed late and came in early to make sure everything was to our liking. He definitely went above and beyond for us. Noura, the resident chef, made a delicious dinner for us our first night there and an equally as delicious breakfast both mornings. 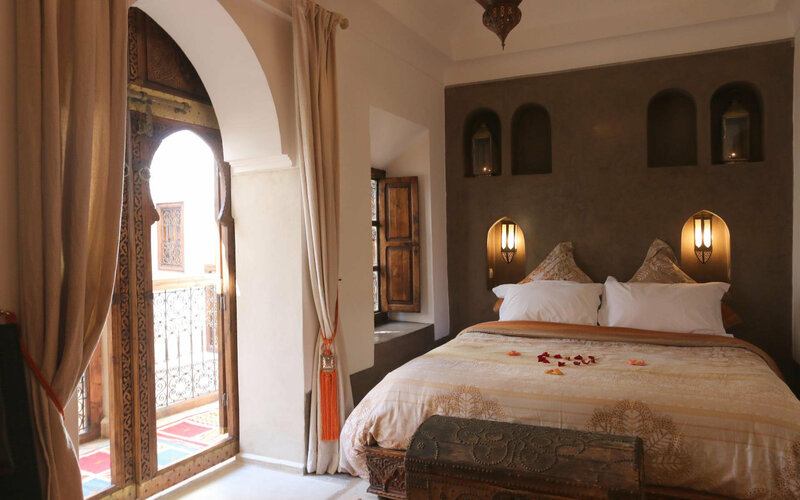 My friends and I loved every minute we spent in this Riad and if we ever make it back to Morocco, we would definitely try to stay here again! A truly memorable experience. 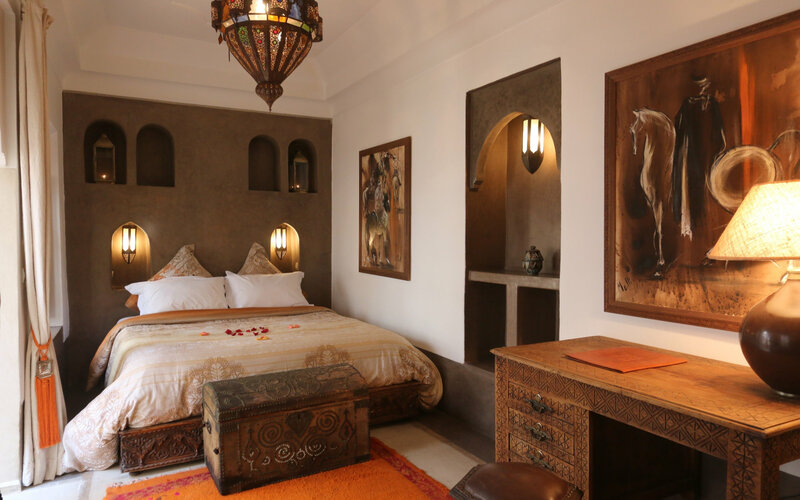 Veronica has the most beautiful riad in Marrakech. Oussama and Noura are some of the nicest people I've ever met. They take care of absolutely everything. Communication with Veronica during the reservation process was perfect, she answered all questions and responded to any concerns quickly and concisely. 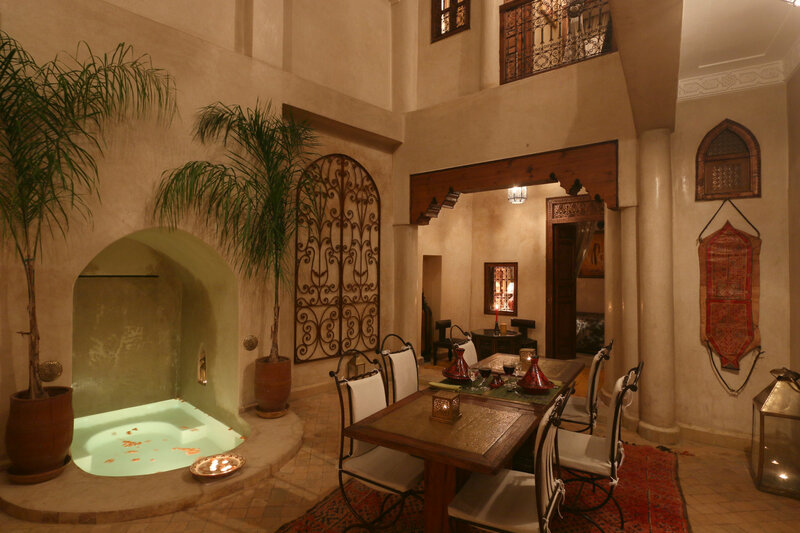 The riad is stunning. Authentic, spacious and so comfortable. 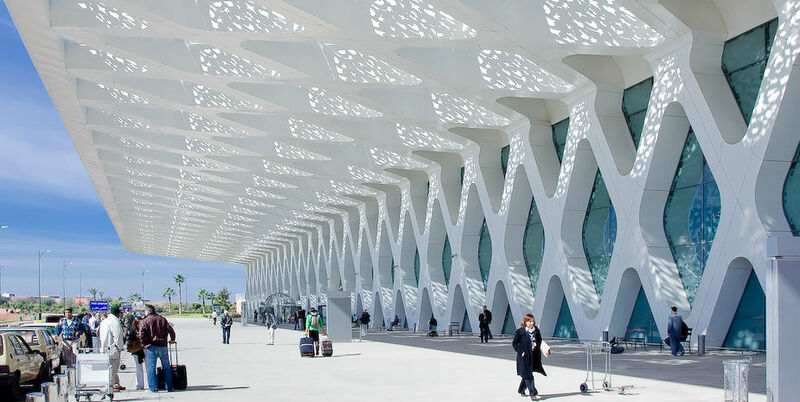 The location is super convenient to get to everywhere you need in Marrakech. Highly recommended. The hosts were amazing, we were treated like family visiting from overseas. 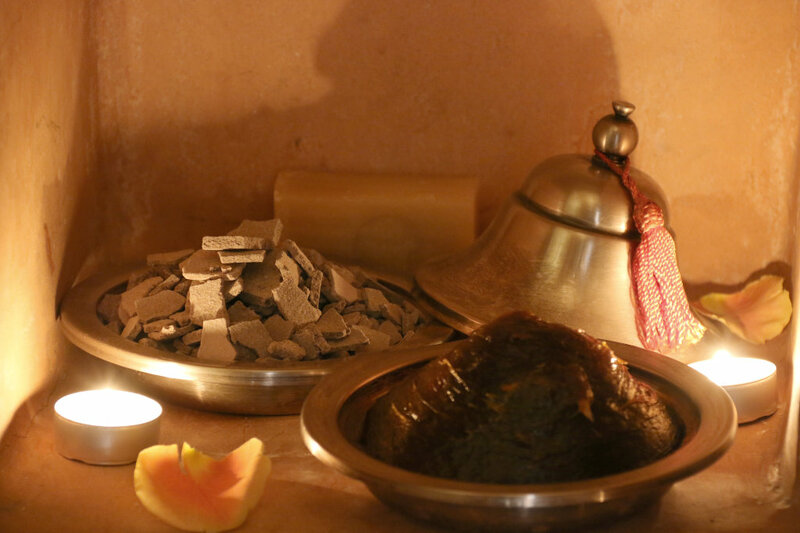 Riad Jaune Safran is an oasis of serenity amid chaos in the Medina. It looks more authentic than the photos presented on the website. We felt we were taken back into the past with today's conveniences. We were very well looked after by Veronica, Oussama, Noura and Allal. They go the distance to make our stay comfortable and fulfilling - it's like having a personal butler, a chef and a driver at your fingertip. The only thing missing was a Genie with a flying carpet. But I'm sure with Veronica's extensive contacts, this can be arranged. 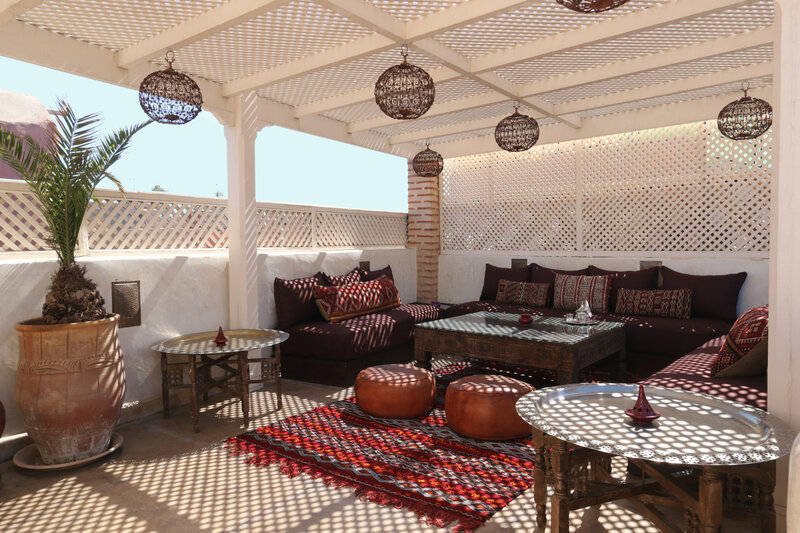 We hung out at the roof top terrace when we had enough of the hustle and bustle of the Medina. The wifi was strong enough to play online music while we chilled. On our last night, we decided to stay in and have our dinner cooked for us. Noura's home cook food was mouth-wateringly good while Oussama, our "personal butler" dotted the place with rose petals and put his best suite on to serve us dinner. 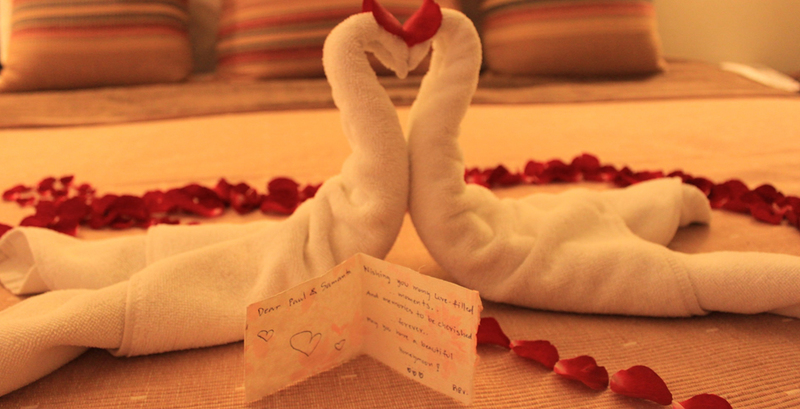 We felt rather pampered and relaxed after 6 days being here. 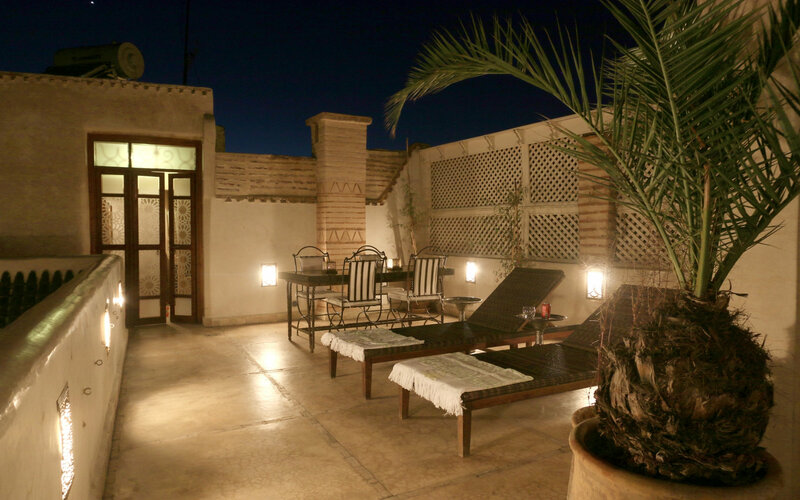 We were lucky to have found and stayed at Riad Jaune Safran. 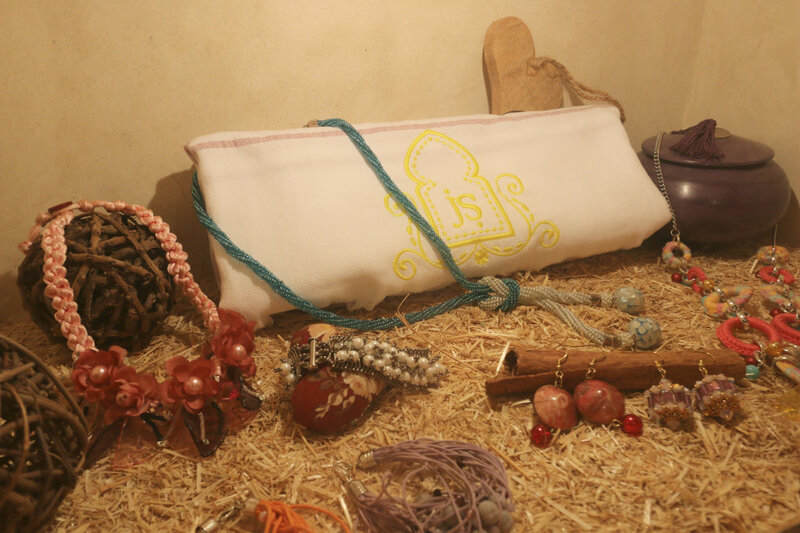 Handy note: Do not be shy to utilise the resources at the Riad as they are there to make your stay comfortable. And remember to tip them well as they deserves it. Histoire et culture? Curiosités? Cieux étoilés? Dunes et désert? Palmes et dromadaires? Paysage incontournables? commencez à rêver votre vacance à Marrakech.